Ilhan Omar’s election to the United States House of Representatives earlier this year symbolises the complex nature of the American polity. 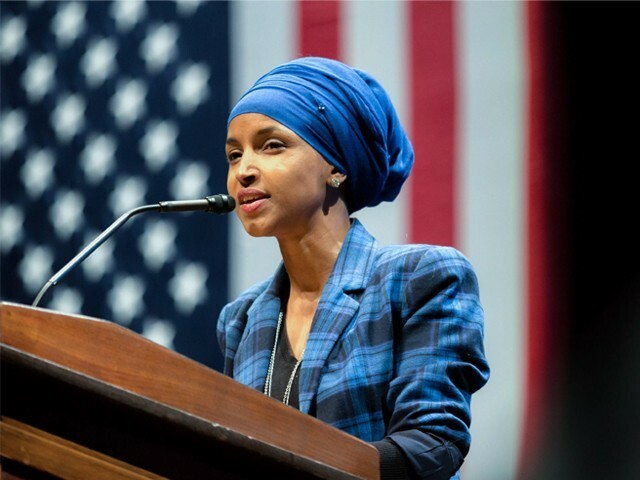 As the first Somali-American to have entered Congress, her campaign victory is deemed a historic feat against the backdrop of the increasingly polarised and nationalistic political culture that has crystallised under the Trump Presidency. What’s more, Omar’s position in the House Foreign Affairs Committee has propelled her to engage in difficult debates that dominate her country’s political discourse and keeps her from shying away from a number of controversial issues, including the influence of the pro-Israel lobby American Israel Public Affairs Committee (AIPAC) on Capitol Hill, as well as the dishonest actions of Washington’s political elite. Since assuming legislative office, Omar has emerged as a strong advocate for immigrant protection, the forgiveness of student debt and housing, among many other left-wing policies. But she has also made enemies following her remarks on foreign policy, and many, including Donald Trump, want her removed from the Foreign Affairs Committee after having been accused of anti-Semitism. Although it seems that Omar’s position is safe for now, and a House resolution that was designed to punish her ended up working in her favour by condemning both anti-Semitism and Islamophobia. The congresswoman has probably learned to tread carefully when commenting on tricky issues such as ‘dual loyalty’ and political allegiance to foreign countries. Whether regarded as a formidable, fresh-faced progressive who presents a legitimate challenge to the establishment or an inexperienced politician who must learn to toe the party line, there is no doubt that Omar is causing a nuisance to Republicans and Democrats alike. The latest victim of her criticism was none other than Barack Obama, disabusing many of the notion that the congresswoman would speak only against Trump or the Republican Party. Despite later insisting that she is an ‘Obama fan’, Omar argued that his immigration policies on the southern border and the sanctioning of drone strikes all over the world were examples of a wider, broken foreign policy framework that has allowed presidents to get away with the detainment of children, the separation of families, and murder. Although her string of comments have caused uproar amongst various political and media circles, figures such as Bernie Sanders and Alexandria Ocasio-Cortez have rushed to her defence by calling out efforts to unfairly target her and stifle key debates worth having. Omar’s focus, not just on Trump but on the legacies left by those before him, draws attention to the series of destructive foreign policy choices made by Democrat leaders as well. The hypocrisy of the Obama administration manifested most clearly in his policy of drone operations which principally targeted Pakistan, Yemen and Somalia. Despite founding his 2008 presidential campaign on criticisms of key Bush policies, including the calamitous War on Terror (WoT), Obama in fact sought to reshape the frontiers and mechanisms by which this war was fought. In launching somewhere around 540 drone strikes throughout the course of his presidency, Obama gave pre-emptive and covert warfare a new dimension, all the while arguing that this was a more precise approach to counterterrorism which would minimise civilian casualties and remove American troops from the line of fire. Whilst the argument of reducing boots on the ground is more readily appealing, few have been quick to accept the idea that drone strikes pose a limited threat to civilians, especially given the inherent lack of transparency with which they are carried out. America’s ruthless pursuit of al Shabab and al Qaeda in those countries therefore came with a heavy price, which called into question its respect for international law and state sovereignty. This has only been exacerbated under Trump, who has authorised nearly twice as many strikes within a shorter period of time, alongside a quiet broadening of CIA operations, now aimed at completely eliminating Islamist insurgencies in Afghanistan and Pakistan. Imran Khan’s vehement opposition to US drones strikes in Pakistan dates back to well before becoming prime minister last summer, having repeatedly pointing out their illegality and the high number of civilian casualties in the country’s tribal areas. It will be interesting to see how this could impact future use of drones in Pakistan, especially in light of the bitter exchange between Imran and Trump last November over the withdrawal of US security aid and allegations that Pakistani governments have continually failed to act against the Haqqani network or the Afghan Taliban. Nevertheless, the US military and the Central Intelligence Agency (CIA) have been given further impetus to push on in the unending WoT, particularly following Trump’s plans to relax the rules set out by his predecessor on the requirement to report civilian casualties. The setback this poses to accountability and transparency for the use of force has been widely criticised by human rights activists, diplomats and members of the intelligence community across the world. But such criticisms will become harder for the White House to brush aside as the voices of newcomers like Omar grow louder in Congress. Although Omar’s remarks on American foreign policy have divided opinion and left her facing a potential challenge from Minnesota Democrats in the next primary, she is bringing important points, which have been the subject of international disapproval for some time, to America’s doorstep. George W Bush’s successors in large part built their electoral campaigns on pledges to dismantle, or at least shift the destructive foreign policy paradigms they had inherited. Since having entered office, however, both Obama and Trump instead worked to further entrench those paradigms – this time with diminishing accountability, and within an environment that is now nourishing dangerous nationalist ideology. Divisive rhetoric portraying immigrants as ‘invaders’, heightened Islamophobia in the wake of the 2017 Muslim ban and a refusal to acknowledge the consequent impact of pervasive white supremacy across the western world have helped shape Trump’s America. The latter was exhibited recently when the US president attributed the New Zealand mosque massacres to a “small group of people with very, very serious problems”, rather than to a growth in white nationalism that has in large part been fostered by the sort of language his administration and supporters frequently employ. The recent election of Muslim women such as Omar (an immigrant) and Rashida Tlaib (of Palestinian origin) serves as a reminder that presidents from either side of the aisle will be held accountable – not only for their hawkish foreign policy decisions, but for simultaneous actions that are having harmful consequences at home. The establishment’s attempts to undermine or remove these women from office are testament to the sway their voters are reclaiming within America’s democratic institutions, and the challenge this will pose to those higher up the pecking order. The author is a law student in the UK. 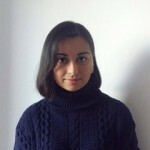 She recently completed an internship with the British Foreign and Commonwealth Office, and graduated from the University of Oxford with a degree in International Relations. At Oxford, her research focus was on the foreign policies of the US, Russia and the Soviet Union. What did Pakistan achieve by boycotting the OIC?